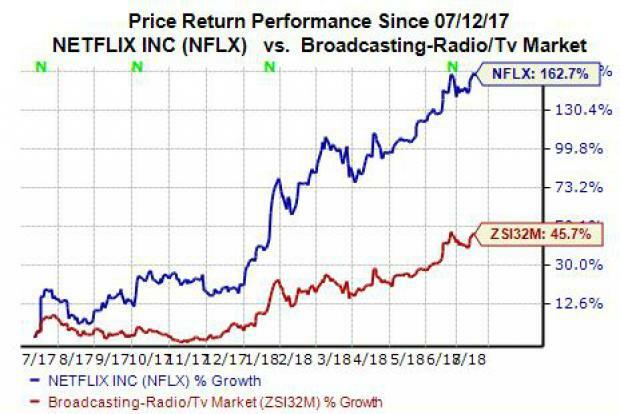 Shares of Netflix (NASDAQ:NFLX) have skyrocketed over the last year as investors continue to love the growth prospects of the streaming TV and movie giant. Now the question is what should they expect going forward from Netflix as the internet-connected TV space becomes more crowded. Netflix might be the unquestioned streaming king at the moment, but Amazon (NASDAQ:AMZN) Prime, Hulu, and others have plans for expansion. Meanwhile, Apple (NASDAQ:AAPL) has spent heavily to scoop up an array of Hollywood talent both in front of and behind the camera for a 2019 launch of some-type of streaming TV service, with Disney’s (NYSE:DIS) much-anticipated stand-alone over-the-top streaming platform scheduled to launch in late 2019. The streaming company also plans to spend around $1.3 billion on technology and development this year. Some have speculated that Netflix might eventually expand beyond its current on-demand TV and movie model to offer some live news or sports, with the likes of Facebook (NASDAQ:FB), Twitter (NYSE:TWTR), and Amazon all jumping into live content. Yet, for now, Netflix maintains that it is a “movie and TV series entertainment network” and will not stream other types of video. Over the last month, analysts have upped their NFLX price targets in big ways. Goldman Sachs (NYSE:GS) analysts reiterated the firm’s buy rating for NFLX and upped their price target from $390 per share to $490 per share. GBH Insights upped its price target to a whopping $500 per share, less than a week after Goldman, which marked the highest out of the 36 analysts who cover Netflix, according to FactSet—shares of Netflix closed Monday at $415.63. 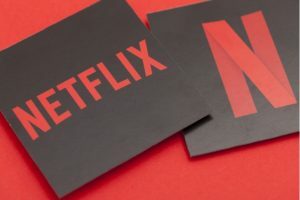 Article printed from InvestorPlace Media, https://investorplace.com/2018/07/everything-netflix-nflx-ahead-q2-earnings-ggsyn/.